Len Vanderstar was born in 1958; avid back-country re-creationist and defender of the public interest with respect to natural resources/heritage; Conservation Biologist residing in NW B.C. since 1989; Currently works for the Ministry of Forests, Lands & Natural Resource Operations, Skeena Region, Habitat Protection Section; Active volunteer member with Kenyan Child Guardian Foundation in fund raising for the Children’s in Special Needs in partnership with Adventure Africa Expedition. He is Expedition trip leader with Summits of Canada Expedition, an organization dedicated to promoting health & fitness through adventure activity and high pointing throughout Canada to promote Canadian geography in partnership with the Royal Canadian Geographic Society. He is also certified commercial river rafting trip leader and active involvement with environmental non-government organizations (ENGO’s) as well as certified commercial river rafting trip leader. He also leads East Africa Adventures Trips covering Kenya Tanzania and Uganda. Kilimanjaro Climbing is the main attraction for the Packages with most of the trekkers coming from Canada. 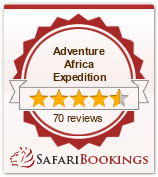 All the Packages are based on all inclusive from the day of arrival in Nairobi Kenya Safaris. Len is well experienced with the African terrains and have knowledge in Safaris as the tour leader. Pick you from your Hotel or in your residential house in West lands City Hotel, then drive to the city center where you will join other travelers to Tanzania in Riverside Shuttle Bus or Impala Shuttle. The drive normally takes not less than 7 hours, From Nairobi to Namanga border it takes like 3-4 hours and then head straight to the Migration office where you will obtain your visa. There after head to Arusha for the next 1.5hrs, there will be a short break for about 30min, here you will have lunch as you proceed to Moshi for the next 2 hours and arrive late afternoon around 1700hrs. Check in the QWine hotel in Moshi for dinner and overnight as you meet other crews who will be with you in the entire trekking. After the breakfast drive to Machame Park Gate, this normally takes 40min to get to the Machame Gate.On arrival you go through the registration with the park authority as we weigh the bags and food, this process normally takes like at least 45min depending with the number of people. The Kilimanjaro trek in this World Heritage Site begins at the end of the tarmac road, walking for about 6 hrs, gradually ascending through the cloud forests of Kilimanjaro and onto giant heather forested hills at Machame Camp (2850 m). Wake up at 07:00am have the breakfast, then trekkers ascend an enjoyable ridge, lunch will be served in one of the lunch point which is about halfway to shira Camp, after lunch traverse along a stream gorge and finally emerge on the Shira plateau volcanic moorland (3840m). Total trekking time for this day is approximately 6 hrs. Dinner and overnight in Shira Camp. Trekkers follow the trail to Lava Towers (>4500m), have lunch prior to spending an hour at Lava Towers, and then descend into the scenic Barranco gorge. Continue to Barranco Camp at 3950m. Total trekking time is approximately 6 hrs. Trekkers cross the Barranco Valley, ascend the well known and fascinating Barranco wall (not technical climbing), then follow the Kibo South Circuit. Descend and ascend again for about 2 additional hours to arrive at Karanga Camp (4000 m) for lunch and overnight. Total trekking time is approximately 5 hrs. Another half day trek takes you across some splendid volcanic lands, with Kibo Volcano (highest of the Kilimanjaro volcanoes) and its remaining glaciers as the backdrop. Enjoy the final ascent to Barafu Camp (4673 m). Total trekking time between camps is approximately 5 hrs. After lunch and a couple of hours of rest, you begin a short trek up to Kibo Camp for further acclimatization, and then descend for dinner. Sleep until 11:00 p.m. and then begin all night ascent. The summit is attainable since you should be properly acclimatized by now. Trekkers move “polepole” (Swahili for “slowly”) to the north-west, with mountain guides at their side, up a defined trail toward Stella Point on the crater rim. Summit day is scheduled to coincide with a waxing moon, which will be nearly full. This 6-hour trek to Stella Point (5756 m) is the most mentally and physically challenging on the route. Temperature is usually -10° Celsius, and winds can make it even more challenging. At Stella Point, the group re-nourishes, enjoys the famous Kilimanjaro sunrise, and then continues for another hour to the true summit of Africa, Uhuru Peak. Photos and celebrations ensue. A slow descent back to Stella Point, followed by a quicker descent on scree slope trails back to Barafu Camp for a well deserved rest and brunch. Break camp and hike down to Lower Mweka Camp by mid-afternoon. This is the day you appreciate your trekking poles and honor your guides and porters – you descend over 2800 meters from Uhuru Peak to Mweka Camp. If weather thwarts your summit bid, an extra day has been allowed if the group decides delay is advisable. an added feature of the night life. Lake Manyara National Park is visited this day. This vegetative diverse park is set beneath the dramatic western escarpment of the Rift Valley. See the amazing Baobob tree, an assortment of Ficus and Acacia trees and all the life that inhabits them. This is a birding paradise, along with all the standard East African mammals other than rhinoceros. The group enjoys a safari tour to the back-end of the park, noted for its hot springs, abundance of giraffe and African bush elephant. Don’t be surprised if you see mongoose, clip springer and the elusive rock hyrax. Lake Manyara is a soda lake and is noted for its flamingos. Overnight at the MTO Wa Wambu Camp again. A must see Conservation Area within this massive collapsed volcano, one of the largest calderas in the world. Ngorongoro’s grasslands, forest, swamps, saltpans, and Lake Magadi provide for an assortment of wildlife and viewing opportunity. You will see blank rhinos, jackals, spotted hyena, lions, and their prey of wildebeest, water buffalo, and various gazelle species. Birding is good as well. The not too common serval cat is a bonus feature. Overnight at the Sinka Court Hotel in Arusha. Travel day to Lake Naivasha on your way to Masai Mara. This is an opportune time to enjoy the countryside of Kenya and all its people. Part of the trip is along the Great Rift Valley with a stop over to view the escarpment. Lake Naivasha is a major agricultural production area in Kenya and a welcomed break to the day’s travel. Dinner and overnight at the Cray Fish Camp with luxurious bed accommodation. Just when you thought you may have been safaried out, then you enter the world-renowned Masai Mara, the northern extension of the equally famous Serengeti Plains. The productivity of the rolling grasslands and tree studded woodlands are to be witnessed first hand. Countless numbers of wildebeest, zebra, and water buffalo are guaranteed, even after mass migration to the Serengeti. Elephant, giraffe, warthog, lion, cheetah, hyena, jackal, the list goes on. Numerous antelope species are readably photogenic including hartebeest, topi, impala, eland, suni, bush duiker, steinbok, dikdik, Grant’s and Thomson’s gazelle. Numerous lion kills make for some great vulture viewing. The Masai Mara safari will be based out of the Masai run Mara Sidai tented camp among a beautiful forested setting. The white-browed Robin-Chat’s lovely song at camp will wake you up in the morning and call you to your tent in the evening. Part of the morning will be spent visiting a local Masai village, witnessing current village life, being entertained with dance and Masai hospitality. It is a colorful event and optional for guests to attend. Arrival to Nairobi and drop off to the Marble Arch Hotel where the adventure comes to an end.